Generates a list of the most "popular" products on the site. This is using the top selling as the metric, so the list looks at category "0", all categories, then limits by a small subset (100 as a default using the limit tag) and sorts by the most sold in descending order. First, construct this on a copy of the category page - it will use the same basic template with the following tweaks. 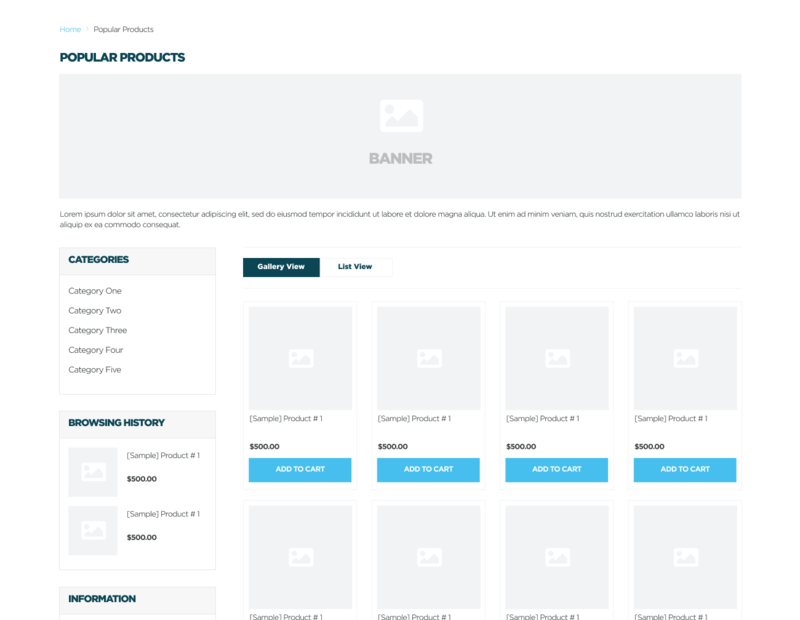 You will then need to create a content page called "Popular Products" and assign the new cloned template. At the head of your file, change the page type variable to use something that isn't category. This is done to avoid triggering the category options that usually appear in the sidebar include as filters will not work with this tweak. If they use this, it won't work because we've hardcoded the param in the thumb_list.